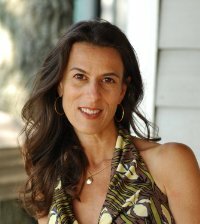 Janet Reitman is most recently the author of Inside Scientology. Condition of Mr. Segundo: Always on the run. Subjects Discussed: Scientology and cults, the way Scientology works, Orthodox Judaism, Michael Sklar, tax-exempt religions, the religious elements used to form Scientology, esoteric religious movements in early 20th century Los Angeles, L. Ron Hubbard’s design as “a matter of practical business,” Hubbard’s connection with Jack Parsons, Aleister Crowley, tapping into what people are looking for, Hubbard’s migratory lifestyle, finding respect for L. Ron Hubbard, Scientology and materialism, the financial worth of exclusive knowledge, how Reitman managed to obtain access to the Church of Scientology’s inner sanctum, how fact-checking can be used to generate journalistic access, personal phone calls from Tom Cruise, Rolling Stone‘s editorial reaction to the Church of Scientology, Lawrence Wright’s New Yorker profile, efforts to remain objective about the Church of Scientology, the Church’s tendency to bury its critics in paper and lawsuits, the Church’s battle against the IRS, efforts to determine why the IRS abandoned its fight against the Church of Scientology, Operation Snow White, David Miscavige’s persuasive abilities, top officials at the IRS being harassed, missing cats and dogs, anonymous sources, L. Ron Hubbard’s “cure for homosexuality,” the Church of Scientology’s support for Proposition 8, attempts to determine if the Church remains homophobic, Paul Haggis quitting the Church over gay marriage, comparisons between the Church of Scientology and the Mormon Church, Scientology’s regular purging of its top officials, David Miscavige’s good points, Cathy Lee Crosby, Narconon, Scientology’s involvement with the New York Rescue Workers Detoxification Project, Nancy Cartwright, scant political oversight of “drug rehabilitation programs,” the death of Lisa McPherson, Joan Wood’s amended cause of death for McPherson, the Church using its financial resources to hire top forensic investigators in the McPherson case, discussing the underlying facts of the McPherson case, charges that the Church destroyed evidence in the McPherson case, Scientologist couples being split apart, various waivers, easily replaced Sea Org workers, behavior tolerated by Miscavige, strategic alliances between the Church of Scientology and other religions, efforts to expand the Church in the Internet age, the Church targeting the African-American community, money coming in from celebrities and normal people, offshoot groups from Scientology, and Scientology’s ethical code. Correspondent: You write that Scientology “was not a ‘cult’ insofar as it did not require separation from mainstream society — though it encouraged its acolytes to ‘disconnect’ from those who were critical of Scientology.” Now sociologist Howard Becker’s idea of a cult generally emphasizes the private nature of personal beliefs or a group of people that isn’t especially organized. Given how private and sequestered Scientologists are about their beliefs, I’m wondering. If you took away the organization, could you call them a cult? How is Scientology not a cult? Reitman; I don’t like to use the word “cult.” Because I find that as soon as you use that word, it immediately stigmatizes a group and also marginalizes them. And it also delegitimizes them and takes them less seriously. The reader, the listener, will immediately say, “Oh yeah. Whatever.” Right? So one of the reasons I don’t use that word is because in order for me to write a book about them, I have to take them very seriously. And they are legitimized in our country as a religion. Now we could have a five hour argument over whether or not various other religions are cults. And we could have pros and cons on each side of that argument. Correspondent: Well, why can’t you be a cult and a religion? Reitman: You probably can be. I’m not a cult expert. 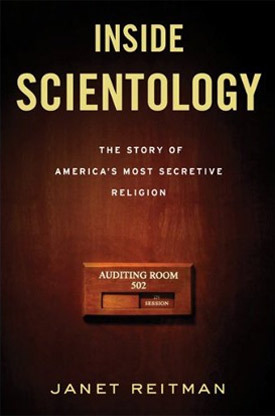 But what I say about Scientology in the book and what I believe is that, at its innermost core, it is a completely, totalistic, all-encompassing organization that demands absolute 100% adherence to the rules and to the leadership of David Miscavige, the head of the Church. And it was also like that with L. Ron Hubbard when L. Ron Hubbard was the head of the Church. But there are stratums of the way Scientology works. I’m not a cult expert. So I’m not really qualified to answer a lot of questions about cults. But one of the points about Scientology is that in the outermost level of your dedication, which is where a lot of the celebrities are, to them, to those people, it is not a cult. It’s either a religion or a process of self-help or a bunch of techniques that help their lives. And that’s the way it begins for them. Now I think that’s the way it begins for lots of other believers of other totalistic groups, right? But you can be in Scientology for twenty or thirty years and remain on that outside periphery. Somehow there are people who have remained in that strata. Most people do not. Most people enter further in. And the further in you go, the more controlling it is. But I think the main point is that, whether it is a “cult” or not, in our country, it’s legitimized as a religion. They are given tax exempt status. They’re recognized. They have more protections than the Orthodox Jews in certain regards. Scientologist parents can write off their children’s education, for example. There was a very famous case recently [Michael Sklar] of an Orthodox Jewish family that attempted to do the same thing. It went all the way up to the Supreme Court. They claimed the exact same protections as the Scientologists did. And theirs was knocked down. Correspondent: Internally, you can’t call them a “cult.” But externally, by virtue of their tax exempt status, you can or cannot call them a “cult”? Reitman: I don’t think that it really makes a difference whether or not they’re a “cult.” Do you know what they are? They’re a global corporation. That’s what they are. And they have all the dysfunction of any gigantic global powerful corporation. And that’s how I look at them. I tend to look at them that way. They have religious components absolutely. If you believe in them, that’s great for you. I’m not going to judge their beliefs. I don’t judge their beliefs. My book is about their practices, their organization, their impact, their influence on people who have subscribed to them and bought, literally bought, into Scientology. Because you can’t just do Scientology. You have to purchase Scientology. They’re a very commercially driven spiritual enterprise. That’s what they are. Correspondent: I’ll get to Scientology in a minute. But just from a philosophical standpoint, because it is a business proposition, this does away with the “cult” nomen? Reitman: I’m not going to comment on whether or not they’re a “cult.” It’s not interesting to me. Reitman: I don’t think any of it was designed as “a matter of practical business” originally. I mean, I think that L. Ron Hubbard grew up in the ’20s. He was born in 1911. He essentially grew up, so to speak, into the ’20s and the ’30s during the Depression. He was a young man in the Depression. And he found himself in Los Angeles after World War II. And Los Angeles, during that period of the mid to late ’30s and the ’40s (and also the ’20s), was this booming religious ground, where all kinds of weird offshoot faiths, new faiths and offshoots of Christianity as well, were then really popular. And one of those areas was the Western esoteric tradition that he found himself getting to know very well through this association he had with Jack Parsons, who was a famous astrophysicist and secret wizard. Follower of Aleister Crowley. It’s one of everybody’s favorite stories: L. Ron Hubbard’s association with Jack Parsons. But I think that he took those aspects of esoteric thought, which were things like secret knowledge, ascending the ranks to gain more and more knowledge. And that was very common in L.A. It wasn’t just through Crowley. The Rosicrucians had a big church. There were lots of societies that were based on that kind of tradition. The sort of alternative, new-agey stuff that was really popular in the early 20th century and then became popular again towards the end of the 20th century. And I think that Hubbard was a guy who was really interested in philosophy and was interested in power. And he took probably some of the best parts, as well as some of the dysfunctional parts in terms of Freudian thoughts that Freud had discarded years earlier. But he took a wide variety of ideas. He manufactured them in a way that made them palatable to people who were not well-educated. That’s very important to know. People who did Scientology were very middle-class. They weren’t uneducated people. Some of them were extremely well-educated. But they were, for the most part, very average, mainstream in that this was religion or this was self-help or psychiatry, or an alternative to psychiatry for the masses. And at the time, these things were very exclusive. You couldn’t do psychiatry for example. You couldn’t go to a psychiatrist unless you had a tremendous amount of money to pay for a psychiatrist. There were only a few psychiatrists even in the United States practicing. Reitman: You had to live in New York. You had to live in Los Angeles. Seriously. Maybe Chicago. Or in Washington. Maybe three or four cities in this country. His philosophy — his Dianetics philosophy — clearly tapped into something people were looking for. And Scientology, which was the offshoot of Dianetics, did as well. And the reason that it had this religious component was that people began to experience these past life recall moments, where they would be in these trances that you got into when you were doing these auditing sessions. And they would, all of a sudden, be thrown back to some previous life. This was spiritual to L. Ron Hubbard. It was spiritual to the people that were doing it. Whether or not they saw it as religious is very different than spiritual. It was spiritual to them. He then thought, “Hey, I can package spirituality and make it religion. And I can get a tax deduction. Or I can avoid having to deal with the U.S. government.” He was extremely paranoid of the government. It was a big deal. And remember this was during the Cold War. Correspondent: And always on the move.